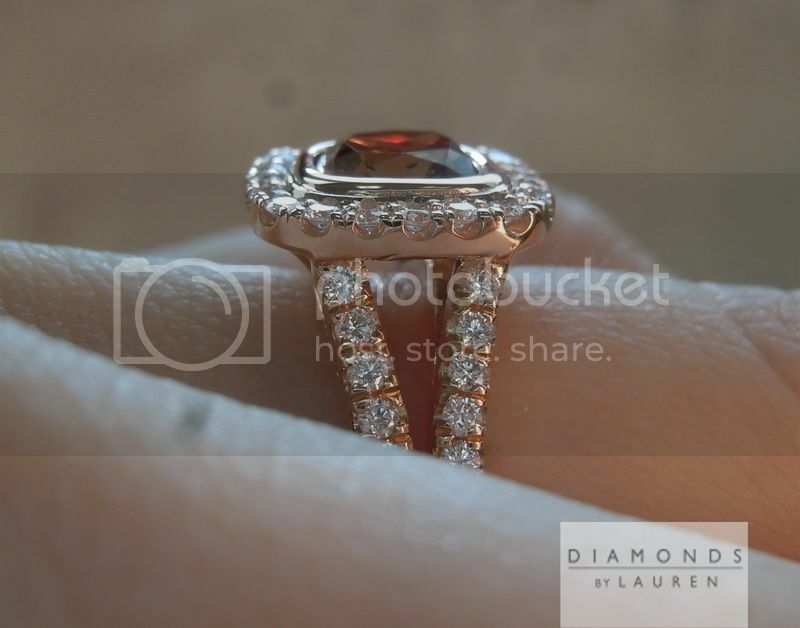 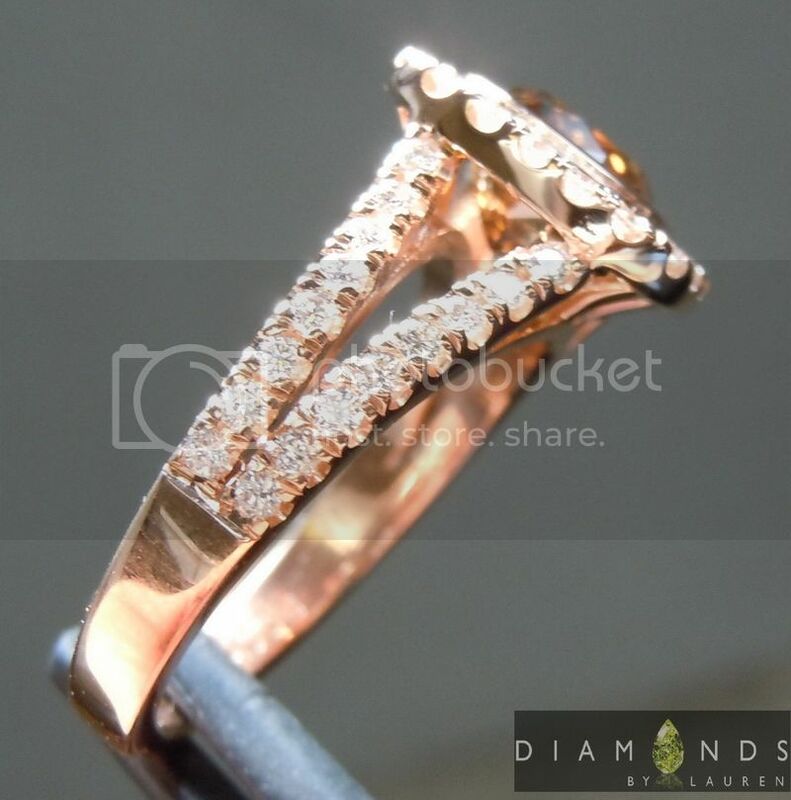 18kt Rose gold white diamonds. 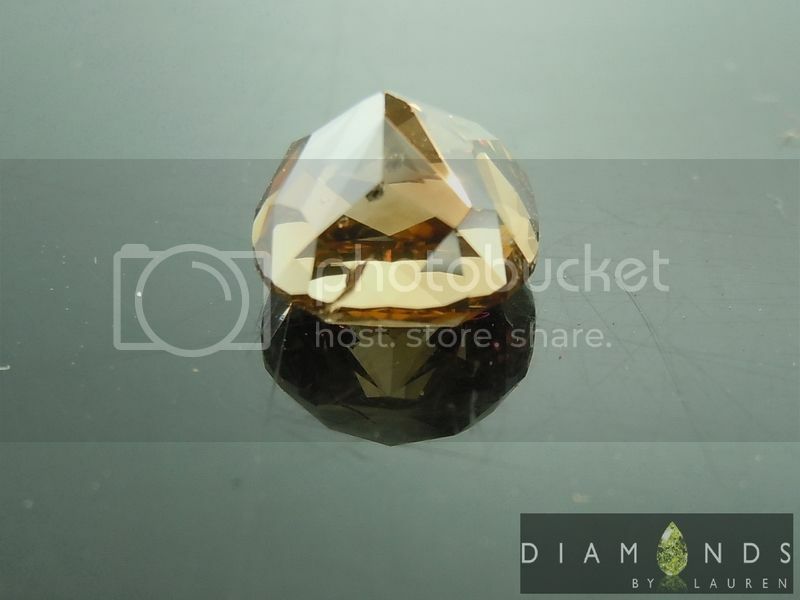 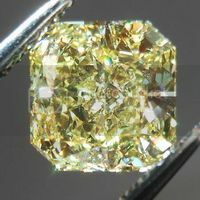 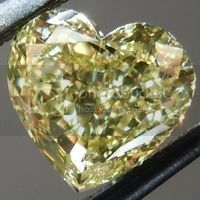 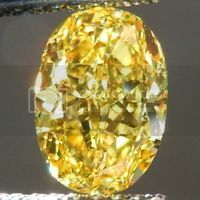 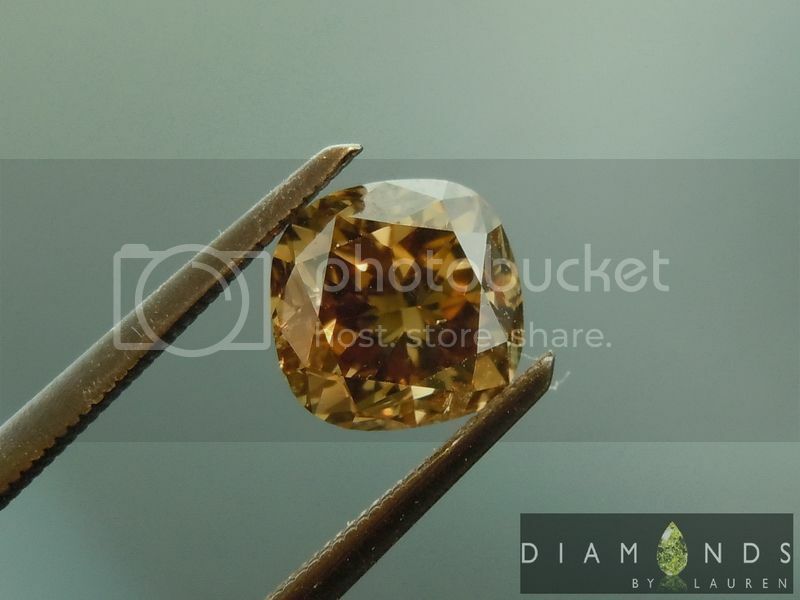 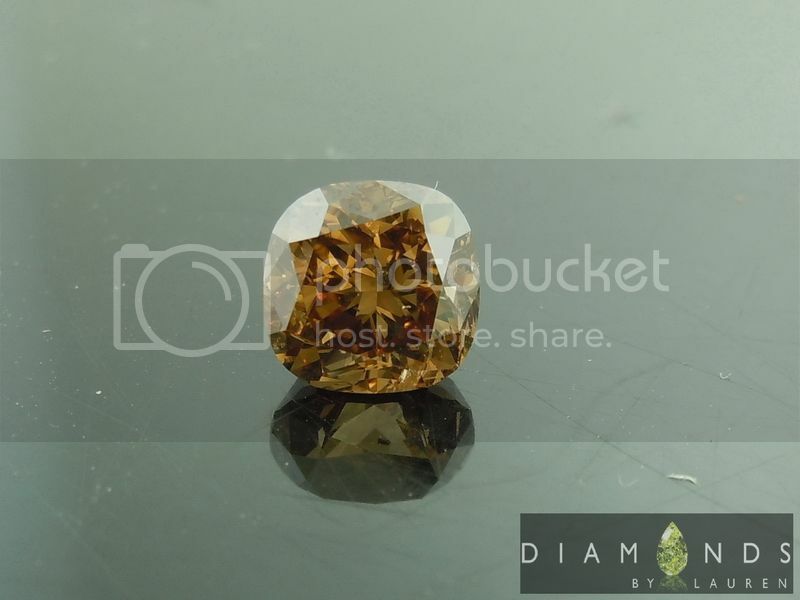 Here's another lovely stone from the parcel of brown diamonds we recently purchased. 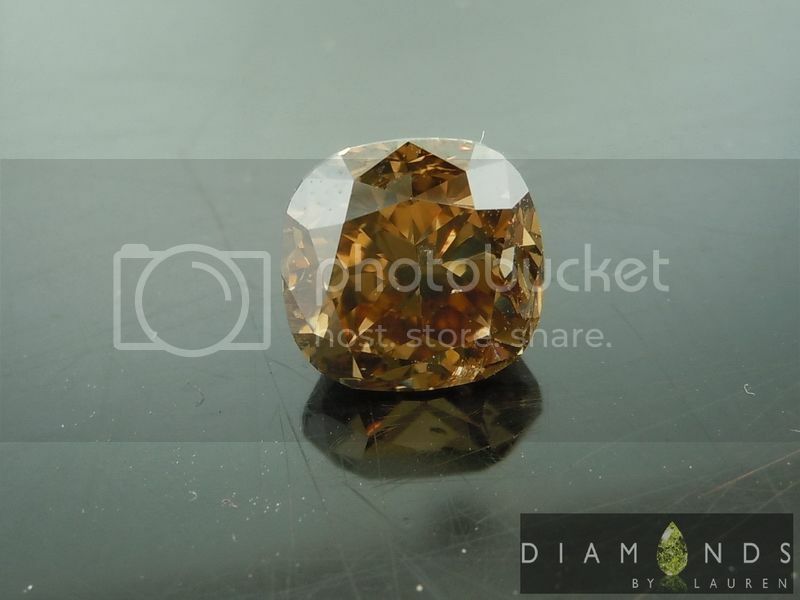 I selected this one because I love the way its cut - and the coppery brown color. 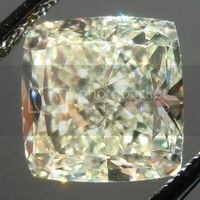 The two elements combine to give you a stone that performs well in all lighting- and really nicely indoors. 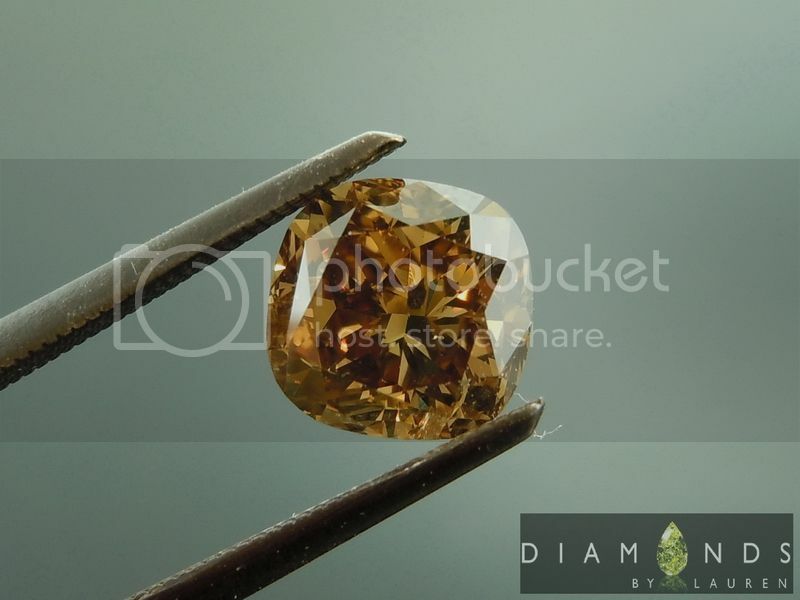 It's an SI2, yes, due to what appears to be a black carbon spot deep within the diamond. 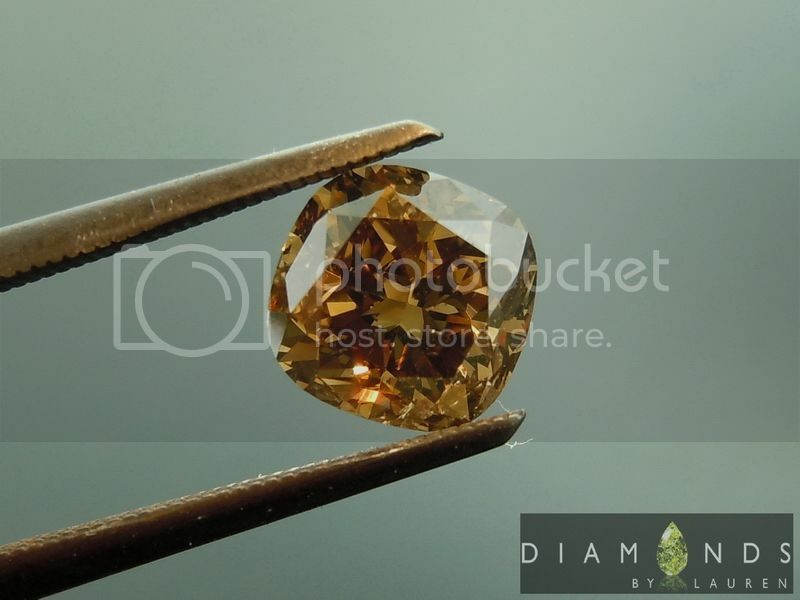 The only way to see this spot is under a jewelers loupe, or high magnification. 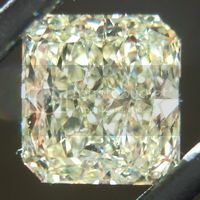 In this case, the black imperfection is far less visible than a white one would be. 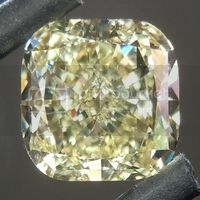 Great looking diamond at a remarkable price. 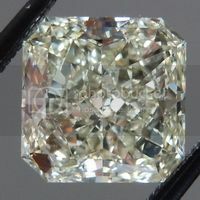 We did not submit the diamond to GIA due to 6 week turn around times, and the added cost. 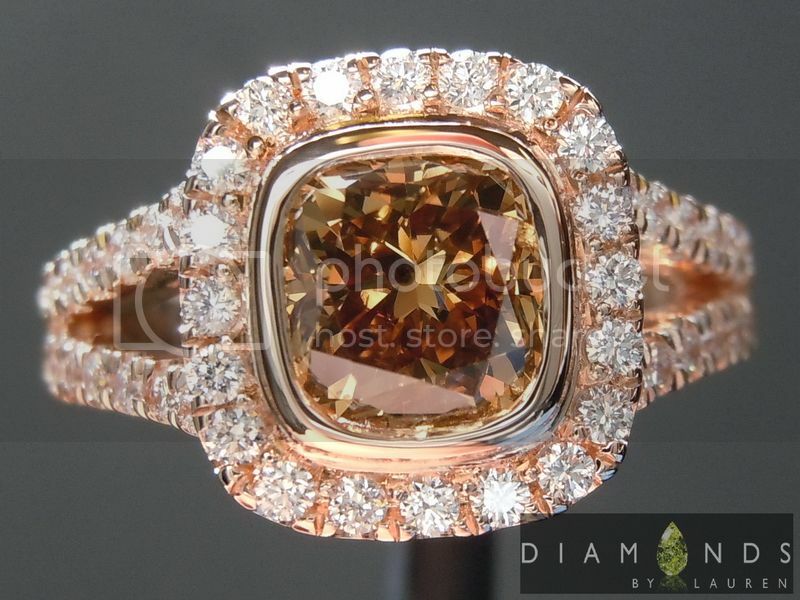 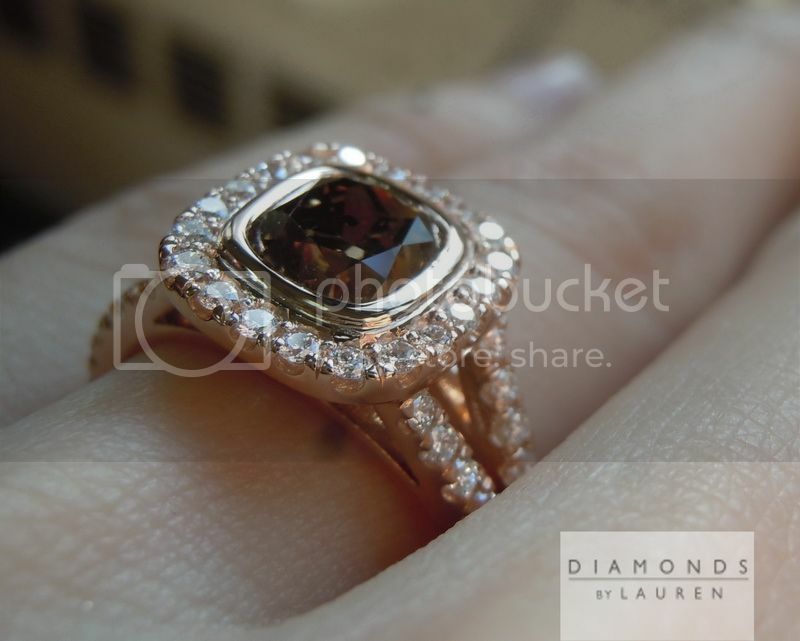 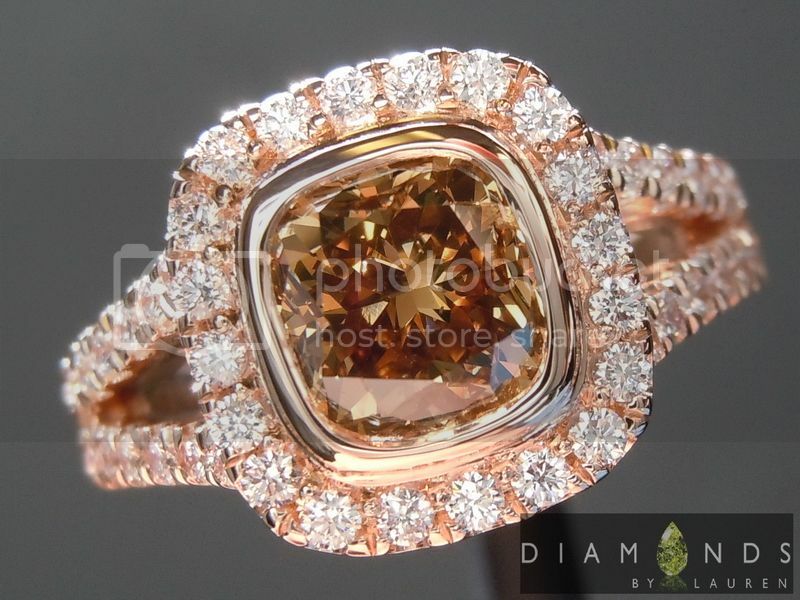 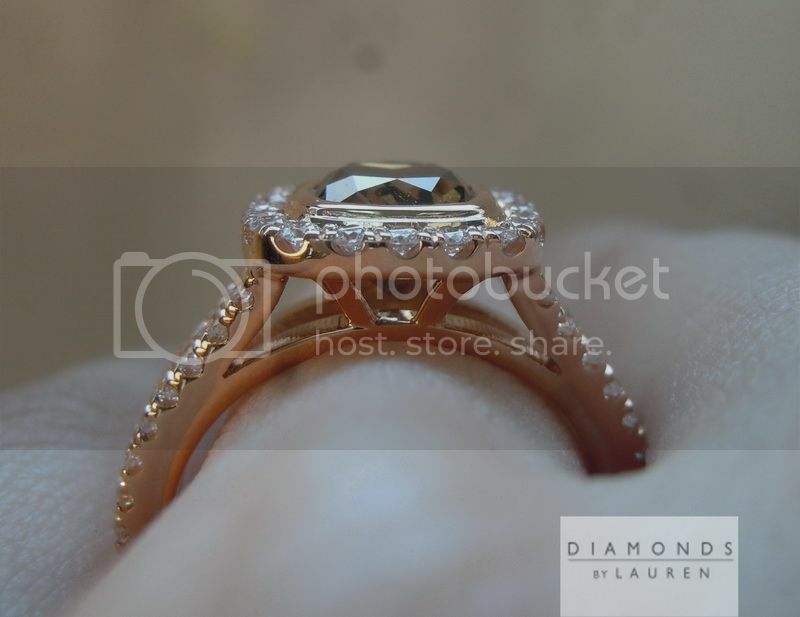 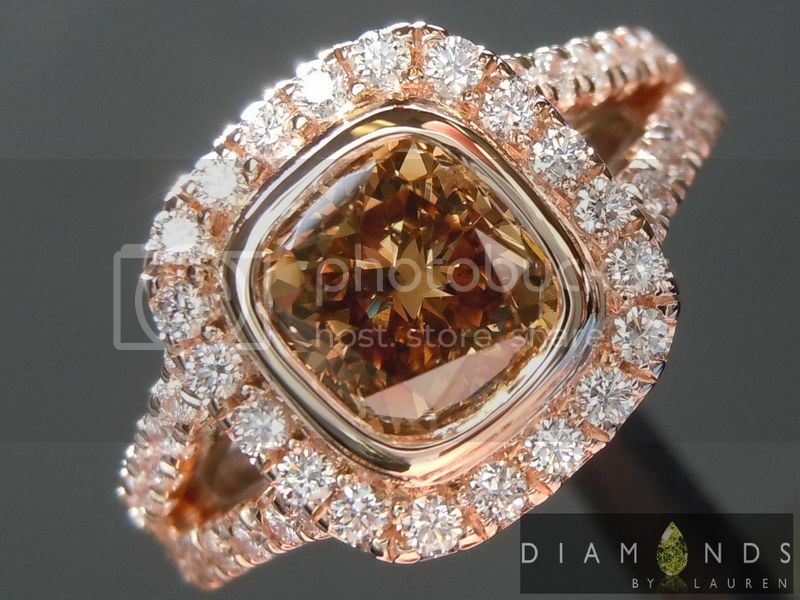 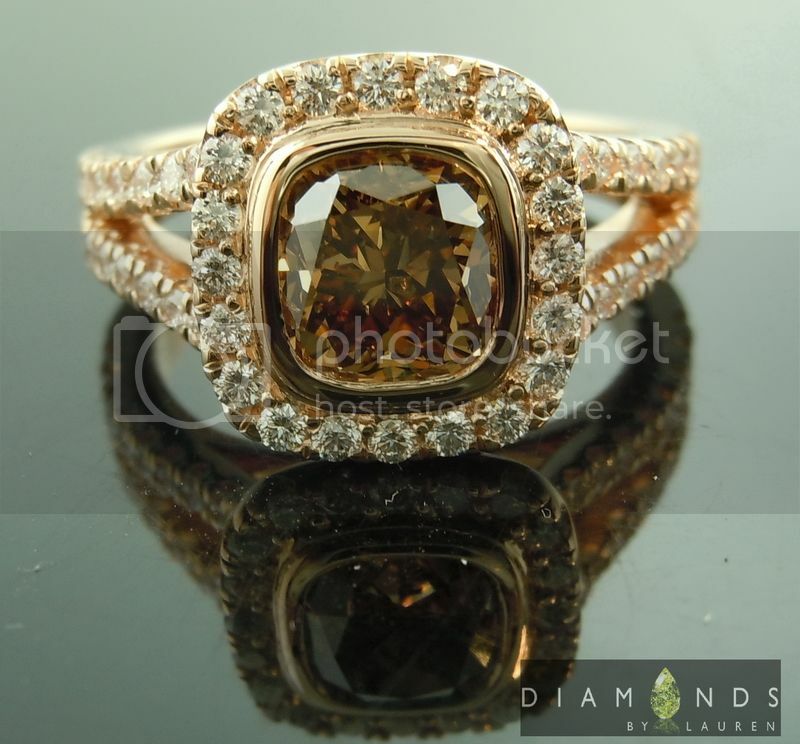 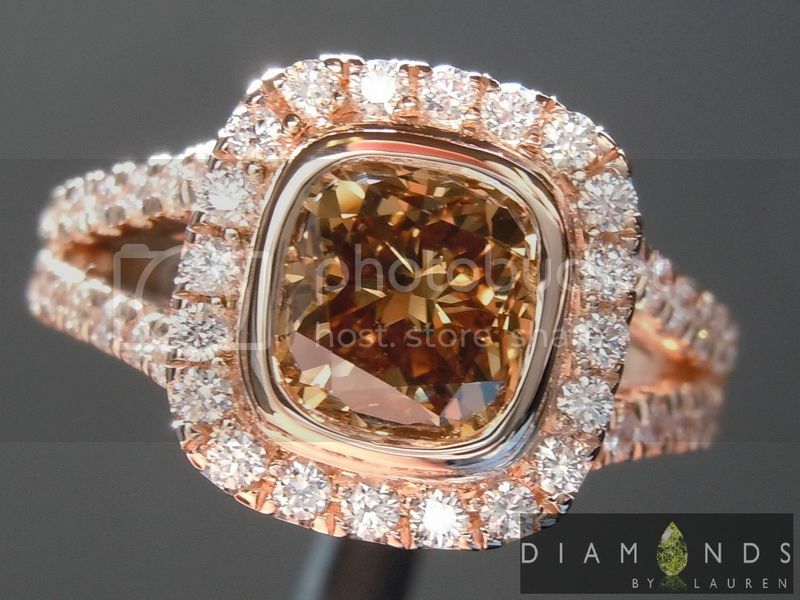 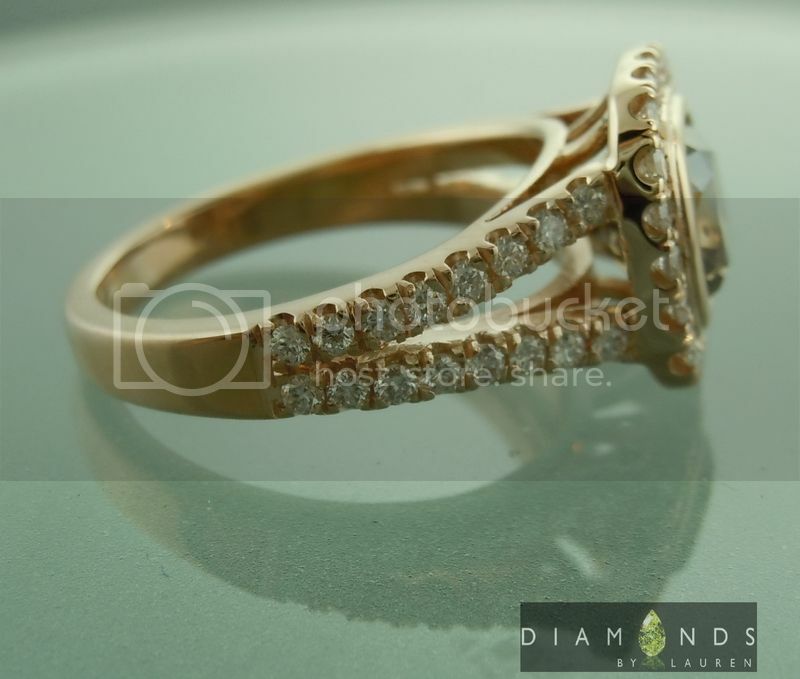 This is a lovely split hank in all pink gold, with all colorless round diamonds set into it. 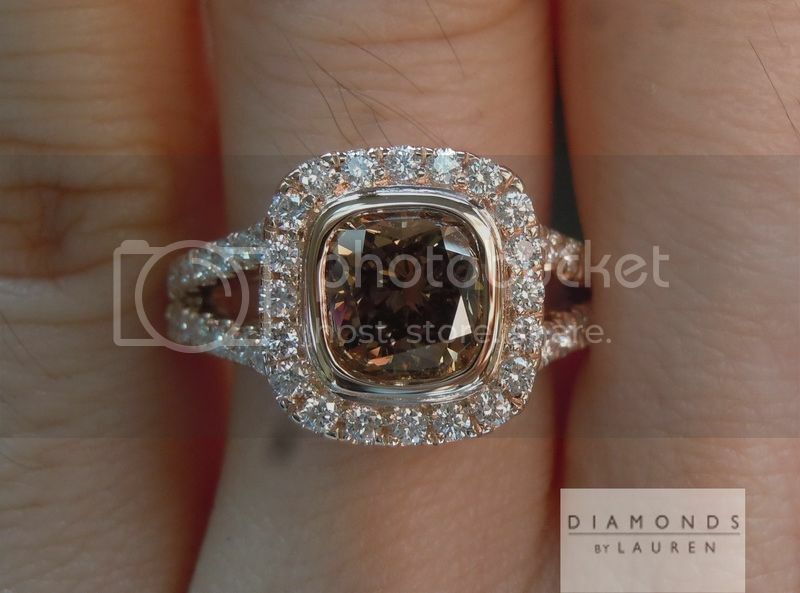 The bezel for the brown is awesome. 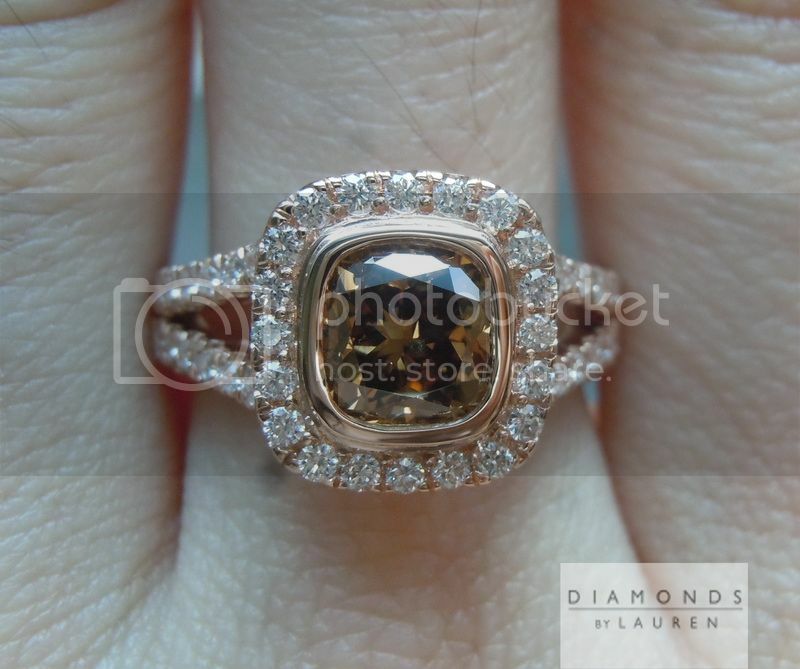 The whole ring has a lovely textured feel. 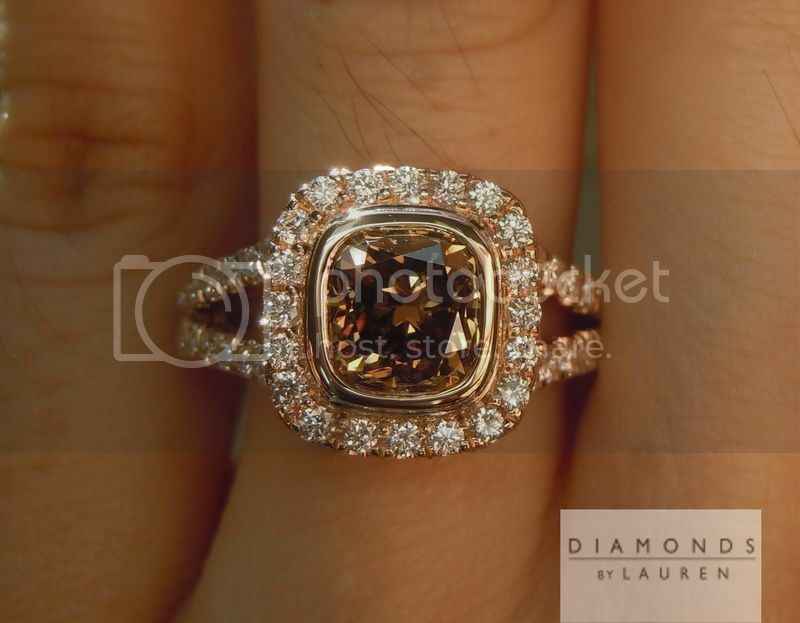 When you show this ring to people they'll be thinking it cost double.